There are people out there, as I sit and write this, popping off (with little to no justification) that they “put The Golf Channel on the map”. I know better, I was there. And what I know is there are three folks responsible for what would become the most successful niche sports network in history. Joseph E. Gibbs, whose idea the channel was. Arnold Palmer, who gave it the concept gravitas and then strong-armed the PGA TOUR into believing in it. That in no way means there weren’t talented people all over the building. Michael Whelan was a genius and made sure the network looked and “felt” top notch when the lights went on. Matt Scalici litterally got us on the air making sure everything in the place, from an engineering standpoint, functioned perfectly. Now I also know The Golf Channel launched in January of 1995 and at the time Tiger still had two United States Amateur Championships to win. But that time, between when Joe and Arnold flipped the switch and Tiger turned pro, gave us, all of us at the channel, time to grow, to make mistakes, to find our way, and to establish a rhythm. Sure, it’s a billion dollar business, with millions of viewers, now but in 1995 it was anything but. We had no idea who was watching, how many of them there were, or even how they were able to see us. And there were times when Mr. Gibbs honestly worried about how he was going to pay all of us. I wish I had a dime for every time I heard someone say, “you mean there’s a golf channel?” or “there’s really a tv station that only shows golf?” And believe it or not those questions, and more like them, were asked AT GOLF TOURNAMENTS! My answer was, “Yes there was” and there still is. Yesterday I watched Tiger Woods win the Masters for the fifth time. It was his first Masters victory since 2005. I was happy for him and I was thrilled for the great game of golf. It also brought back amazing memories. In 1995, when The Golf Channel debuted, Tiger had not yet had his “hello world” moment but he was more than worth talking about. And that’s what The Golf Channel did. On the news shows, the instruction shows, and around the hallways and water coolers in our headquarters. And while they were all talking Tiger back in Orlando our team was out showing live golf all over the country. Believe me I know that at some point in time there would have been some sort of golf television network. But not in 1995. Not without live golf tournaments to show and, again, not without Tiger Woods. Joe Gibbs, Robert Greenway, Gary Stevenson, Peter Gordon, and the rest of the executive team knew that too so they secured the U.S. broadcast rights to the European Tour and the LPGA. Then Joe, with Mr. Palmer, went to Ponte Vedra and convinced the powers that be there to let this brand new golf channel, with tens of dozens of viewers, broadcast what was then the Nike Tour. Then they convinced them to throw in the half a dozen PGA TOUR events that no other television network wanted. They were painfully aware that if the channel had any chance to succeed it had to spend most of the broadcast day showing live people hitting golf shots that mattered. Without that (see Back 9 Network) their Golf Channel or ANY golf channel had zero chance. Through the years and through the magic of television we introduced golf fans to Stewart Cink and David Toms and Chad Campbell and Jimmy Walker and Pat Perez and Jason Dufner and Zach Johnson and Brandt Snedeker and Jason Day and oh so many more. And back in 1996 we met Tiger Woods. He turned pro after winning his sixth straight USGA title and played in nine PGA TOUR events. Four of them were tournaments that were only televised on The Golf Channel. All four days. He played in Moline, IL and Endicott, NY and San Antonio, TX and Orlando, FL. During those events our team interviewed him more than a dozen times. Each time he was polite, friendly, punctual, and generous with his time. After rounds he came right out of the scorers tent and right to Donna Caponi or Gary Smith or Mark Lye and talked about his round. Before events began his people told our people where and when he would be available and he was there, where and when they said he would be. And he sat with us for as long as we needed him. By contrast I had also once been part of a golf broadcast team tasked with interviewing Jack Nicklaus on several occasions. During one of those we waited 81/2 hours for him to show up. He and his team told us he’d do the interview at 8 AM and Nicklaus finally showed up at the appointed spot at 4:30 in the afternoon. Sadly, when it came to Jack back then that wasn’t unusual. But I digress. In 1996 Tiger should have won in Illinois, on our air. He could have won in upstate New York a week later, on our air. And he finally DID win in Orlando, a month later, on our air. I hope I never forget the image of Tiger, Donna and Mickey and Minnie Mouse at the trophy presentation. Tiger was a great player. We knew, heck almost everybody knew, that. But few among us could have predicted the level of greatness he would, and will continue to, achieve. The Masters victories in 1997, and this one 22 years later, helped paint a clearer picture of that for everyone. Fast forward those 22 years and Golf Channel is now a behemoth. Nobody questions its existence though some are still unclear about the network’s humble beginnings. And Tiger Woods is once again the toast of the town. So many memories that involve so many people are etched in my mind and the best part about April 14, 2019 is that I now know there are so many more to come. Thanks for reading. I wrote a book about my life in television and my time at The Golf Channel. 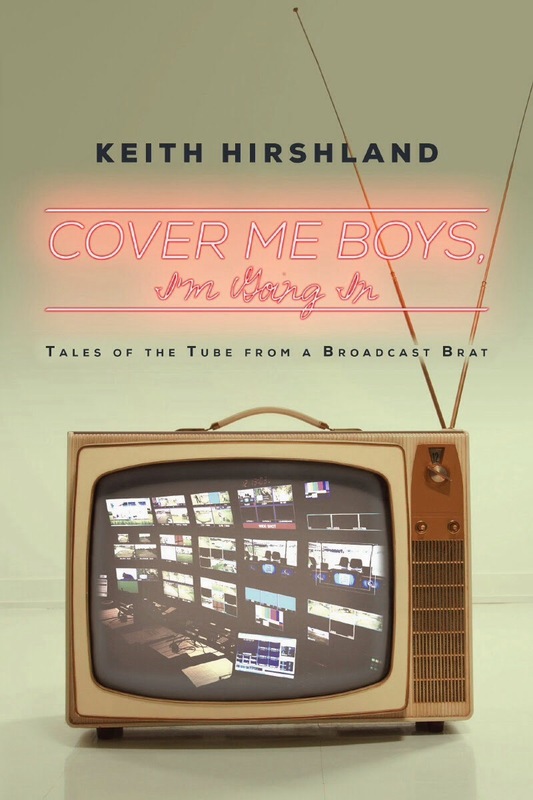 It’s titled, Cover Me Boys, I’m Going In (Tales of the Tube from a Broadcast Brat). Because of the great folks at Beacon Publishing Group it’s available at Amazon.com, Barnes and Noble.com and a number of other outlets. Grab a copy and enjoy the stories! It’s always a treat when I get a notification that you’ve posted. Nicely written sir.